Flamborough Head is the name of a promontory on the east coast of England; inspired by these Dutch "boys" with a good discography behind them. In fact, Lost in Time is the title of their seventh album. Endowed with a good technical code and an appreciable taste for composition, the quintet has been quite underrated so far in Italy and is a real pity; even if absolutely not innovative (inspired by the progressive English symphonic as well as by the Renaissance or the Mostly Autumn), they are able to put long and intense tracks in play, played between suspended and dreamy atmospheres, exciting only "liquids" of the guitar and the voice with a good "presence" of Margriet Boomsma. The sound flows fluid and immediate, immediately captivating thanks to the usual "openings" of the genre; moments of pathos, of extreme and vibrant emotional tension follow one another for the joy of the fans of the British vein (Marillion, IQ, Pallas). The voice and the flute inserts of Boomsma are accompanied by the great guitar progressions of Gert Polkerman the romantic keyboards of Edo Spanninga, the animated bass lines of Marcel Derix and the massive drumming of Koen Roozen, vaguely directed towards the style of Neil Peart. Lost in Time is a compact album, composed of only six tracks rather long, just think that the shortest has a duration of almost seven minutes. 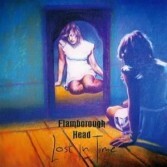 Lost in Time is probably the most mature and successful record of Flamborough Head. It has absolutely no visible developments compared to the past but it marks a completion, an overall picture of higher quality.